The Georgia Class 1A Private and Public School final football power rankings have been released by the GHSA. The top 16 in each qualify for the playoffs The first round begins Friday November 22nd. 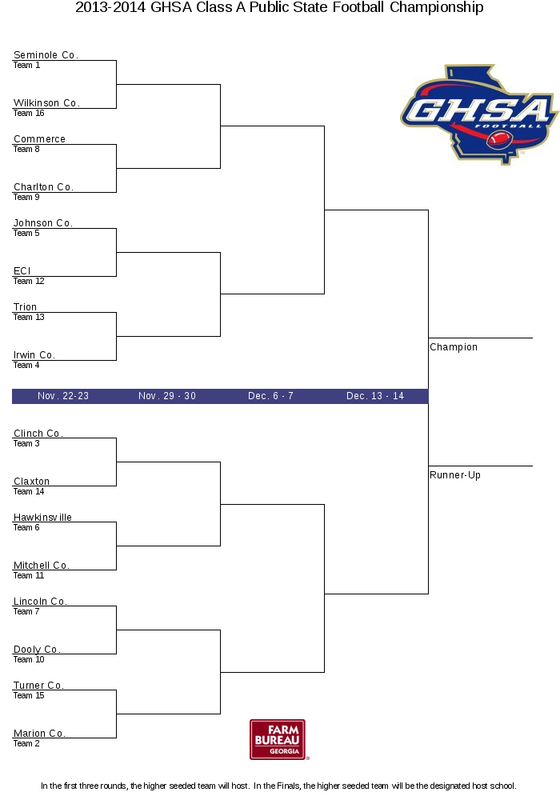 This is the second year the Class 1A playoffs have been split public and private. Below are the top 16 in 1A Private with the playoff bracket. Below are the top 16 in 1A Public with the playoff bracket.